VoiceFoundry helps ALL types of businesses migrate to Amazon Connect. 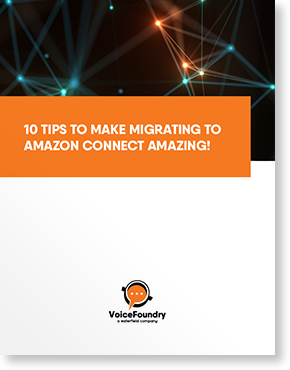 VoiceFoundry is uniquely focused on working with businesses to migrate their contact centre solution to Amazon Connect while maximising the benefits of the cloud. We work across a wide variety of industries. Creating custom solutions that drive an interactive experience which increases customer satisfaction and loyalty while delivering real business value with increased productivity and efficiencies is our passion. Our team of proven specialists will work with you to assess your business requirements and expectations, analyse customer and agent interactions to better understand your business, provide recommendations for applications and services that will extend your contact centre and deliver the results you are looking for. We have extensive experience across various industries and are waiting to help you create your next application journey.